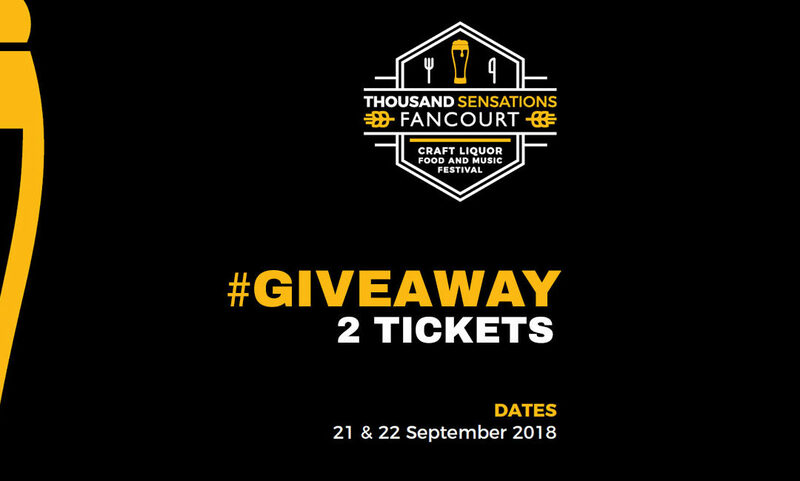 Two tickets – up for grabs to the Thousand Sensations festival on Saturday at Fancourt. TO WIN: Simply include the name of your friend you’ll invite to join you on the Fraser’s Folly Facebook, Twitter or Instagram profiles. We’ll announce the winner here Friday. The winner will be announced on Friday, 21 September 2018 at 12pm. The prize is two full festival tickets to the Thousand Sensations festival (21 or 22 September 2018). The Fraser’s Folly’s decision in respect of all matters to do with the competition will be final and no correspondence will be entered into. We reserve the right to delete and remove any inappropriate comments on social media, and to ban individuals who may leave inappropriate comments. Prize cannot be exchanged for money, and cannot be transferred. The winner will receive a message via the social media platform they entered on. Prize collection will be arranged with the Fraser’s Folly team at the festival. We acknowledge that the promotion is in no way sponsored, endorsed or administered by, or associated with, Facebook, Twitter or Instagram.